HELPING HANDS: The baking business is no more a one-man job for Koshi Ghale. He now has hired-help assisting him. 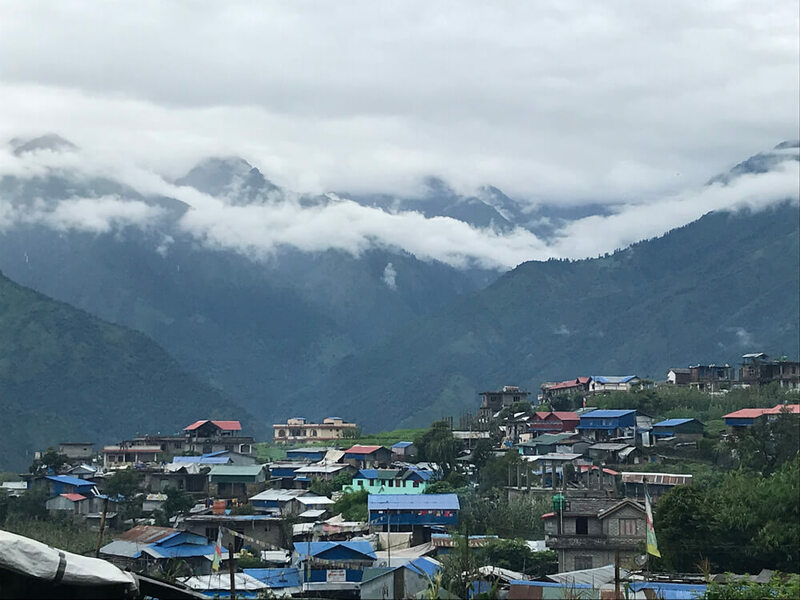 After a night of rain, the clouds move quickly up the mountains to the village of Barpak. Mingled with the monsoon mist that wafts through the street is the delicious smell of freshly baked donuts, muffins and buns. Following the smell leads visitors up to the Dhanapurna Bakery & Cafe, opened ten years ago, was destroyed in the earthquake, and has now been rebuilt. Hot cakes are once more selling like, well, hot cakes. 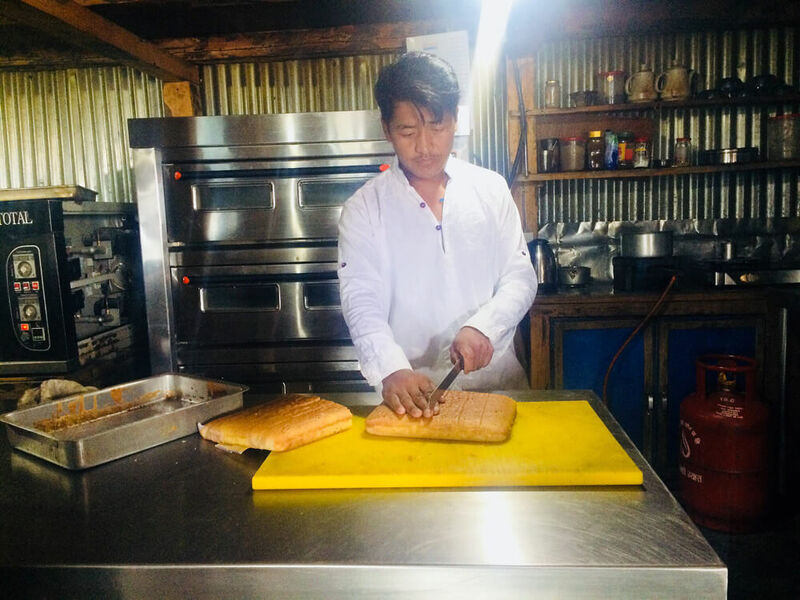 The bakery was set up by Koshi Ram Ghale, a Barpak native who epitomises the can-do spirit of this region of Gorkha that was at the epicentre of the 7.8 magnitude earthquake that devastated Central Nepal on 25 April 2015. Ghale, 33, is a self-made Barpak native. He worked odd jobs: as a domestic help and in restaurants in India after his father died, and his brothers joined the Indian Army. While there, he got a visit from his uncle, the noted energy entrepreneur Bir Bahadur Ghale who convinced him to return to Nepal and start his own business. “Since I had been working in kitchens, I thought a bakery might do well in Barpak, but I had absolutely no money,” Koshi Ram recalls. 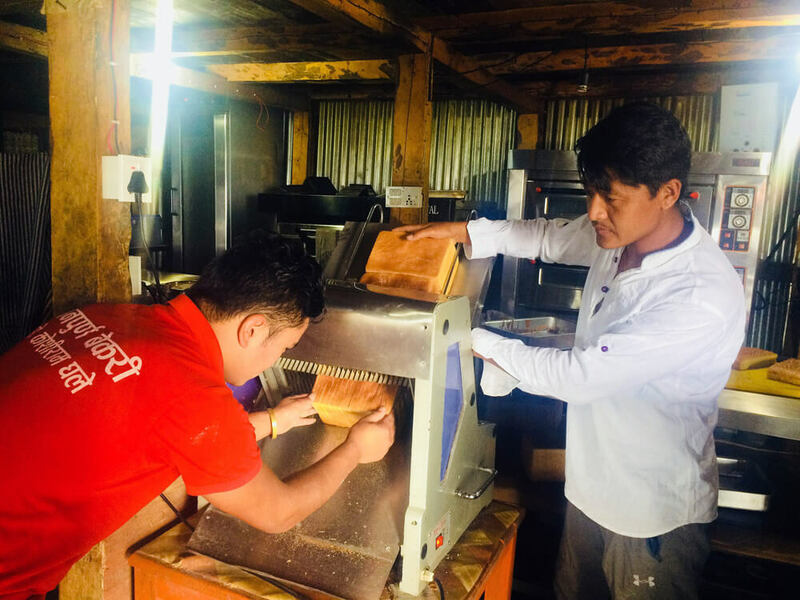 His uncle chipped in, the community crowd-funded him, and he took a loan to get the Dhanapurna Bakery started. “That trust was a big source of encouragement for me. 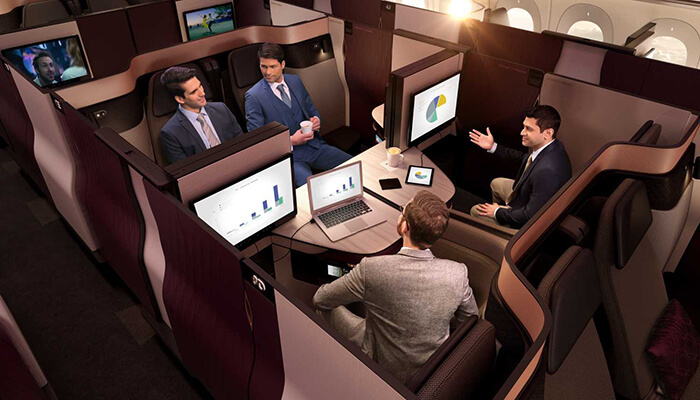 I knew I could not disappoint those who invested money into my venture,” he adds. The bakery was doing well, when the earthquake struck. Nearly all of Barpak’s 1,400 homes were destroyed, killing about 72 people. The health post, the local administration building, and six of the seven schools collapsed. The 50 kilowatt micro-hydro plant built by Bir Bahadur Ghale was knocked out. “When the earthquake hit, we were all trying to save our own lives, no one was thinking about saving their businesses,” recalls Koshi Ram, who helped the community by organising rescues of people trapped, making sure there was food, shelter, and solar energy for the tent city that sprang up outside the village. Dhanpurna Bakery had caved in, but Koshi Ram managed to pull his oven out from under the rubble. He set up the baking equipment under a tin shed, and restarted the bakery within a year of the quake. He took out another loan, made the structure more permanent, bought a dough mixer and expanded his menu. Before the earthquake, Ghale would sell his baked items through local stores. 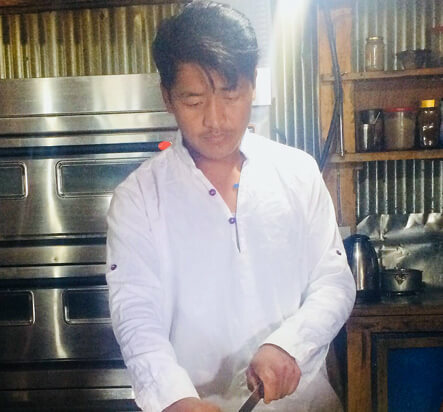 Now, he only sells at the bakery in Mani Danda above the village, and has added a small café which has become the public sphere of Barpak’s community. Dhanapurna Bakery is a monopoly, but that comes with its own challenges. Most of the raw material has to be ordered from Kathmandu and carried up to the village by porters which is expensive. Koshi Ram’s next goal is to get local farmers to supply the cream, eggs and flour so he does not have to import it.